Evernote is a productivity tool that individuals or businesses can use to organize their notes, checklists, and saved articles. It's a straightforward product that can be useful in a plethora of ways as users experience it more. In their user onboarding, they give new users an interactive checklist to complete to familiarize themselves with the tool. 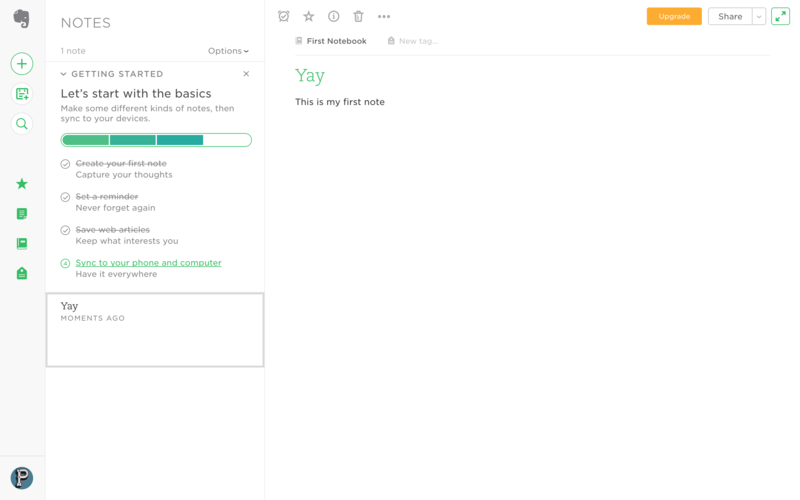 Evernote starts the checklist with their most basic feature: writing notes. 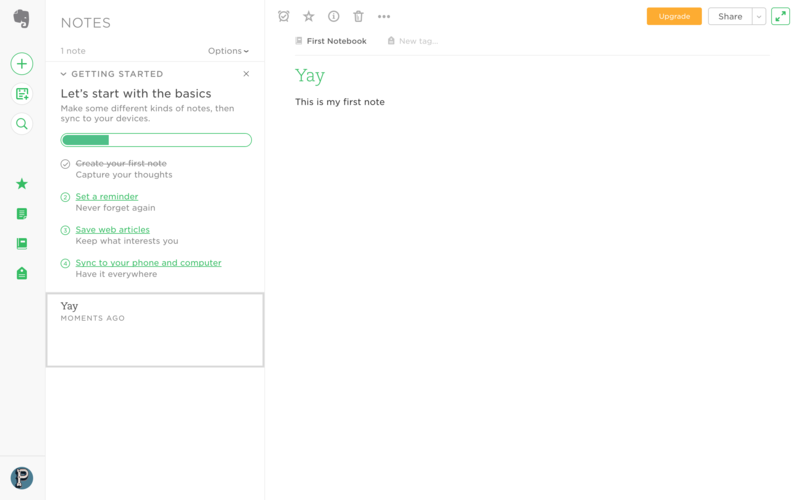 Users can familiarize themselves with this interactive step in the checklist by experimenting with their writing interface and even write in their first real note if they have one in mind. 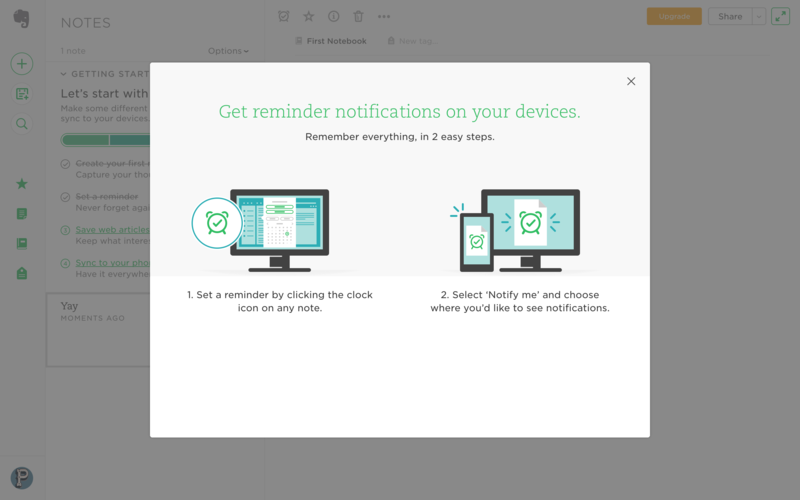 Evernote also includes modal windows in their checklist items for the points that can't be made interactive within their tool. These are helpful tips to get started with using now or later. 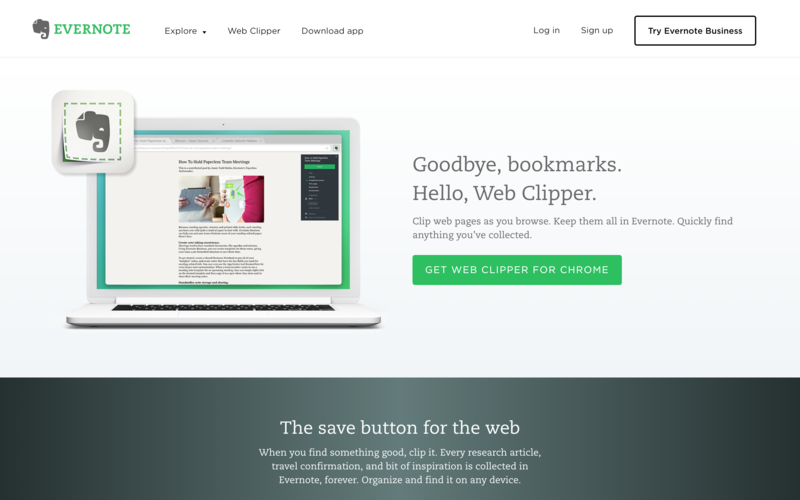 The third step is to download their optional Chrome extension for saving news articles. This is nonintrusive for users who aren't interested, or who maybe didn't know Evernote included features other than writing.